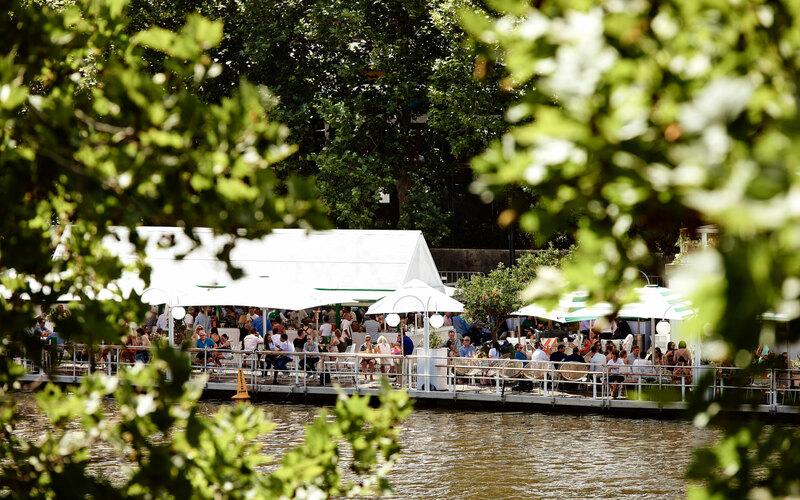 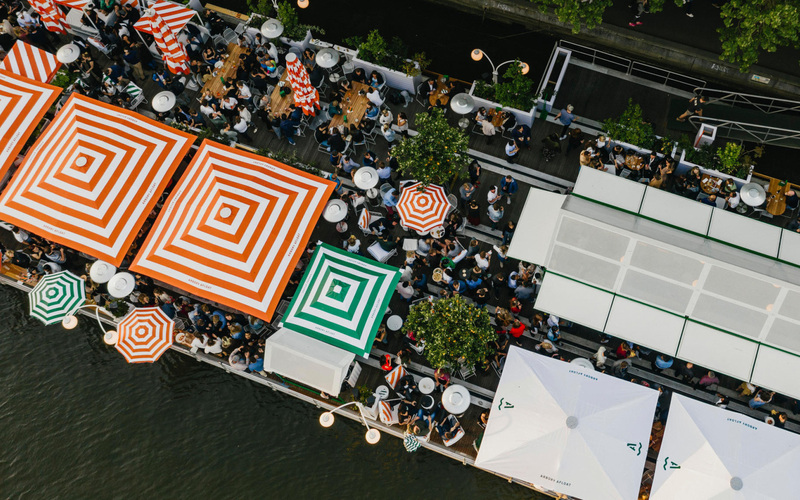 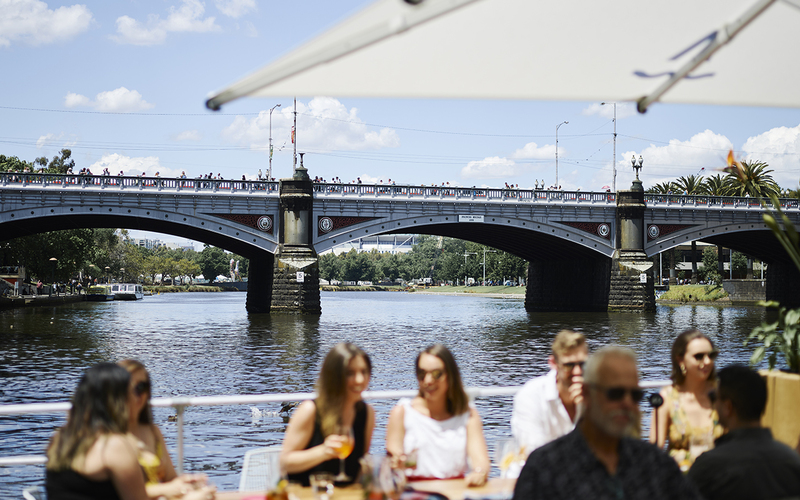 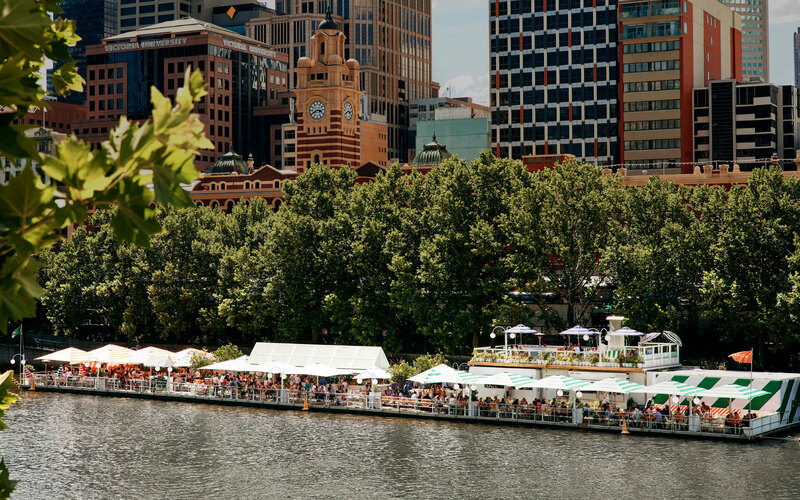 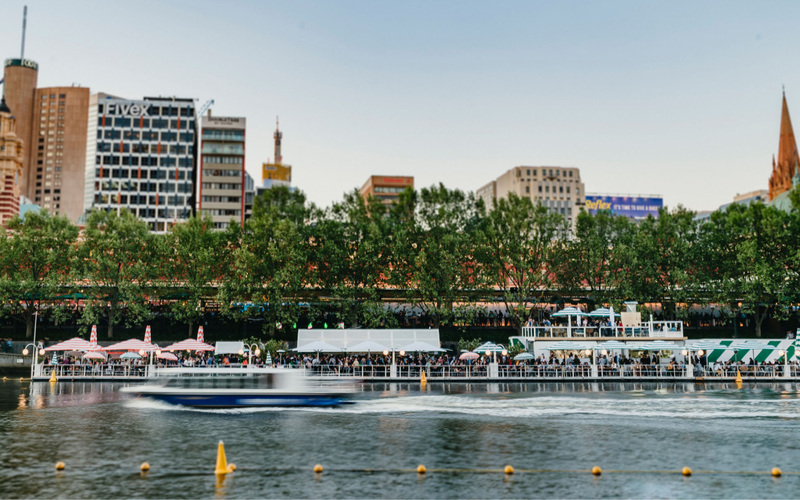 Arbory Afloat has re-berthed for Summer on the Yarra River, in the heart of Melbourne. 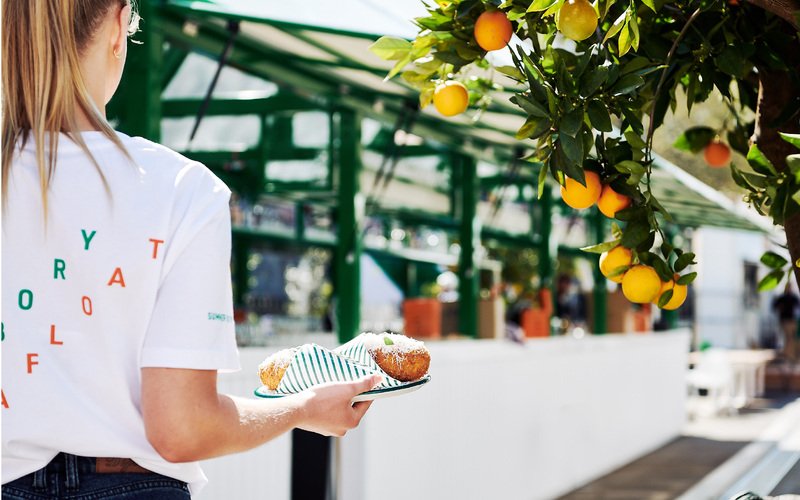 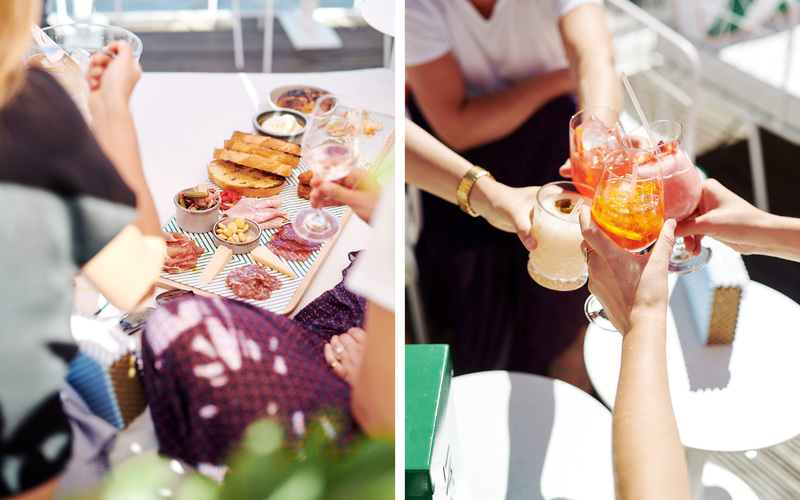 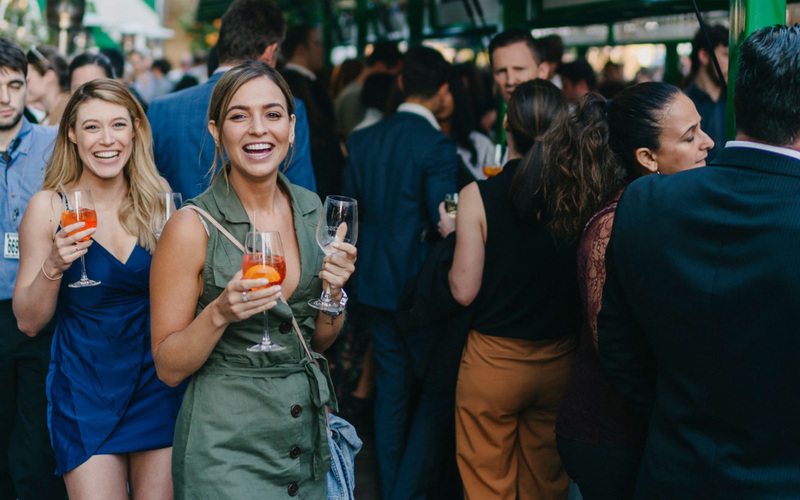 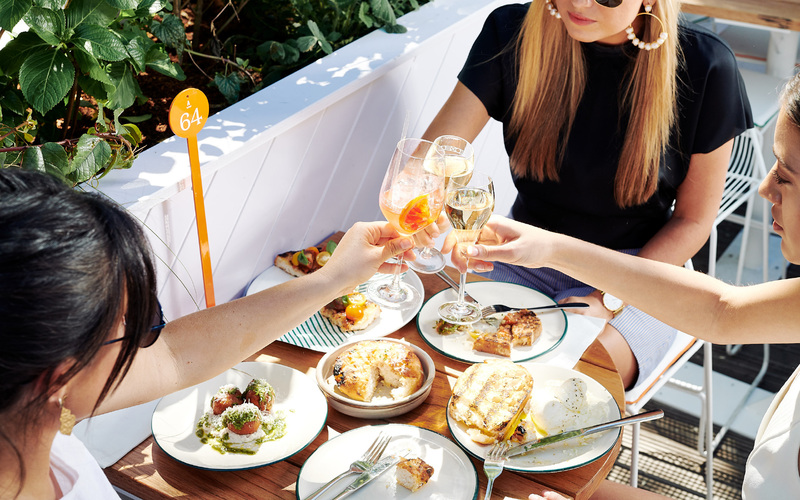 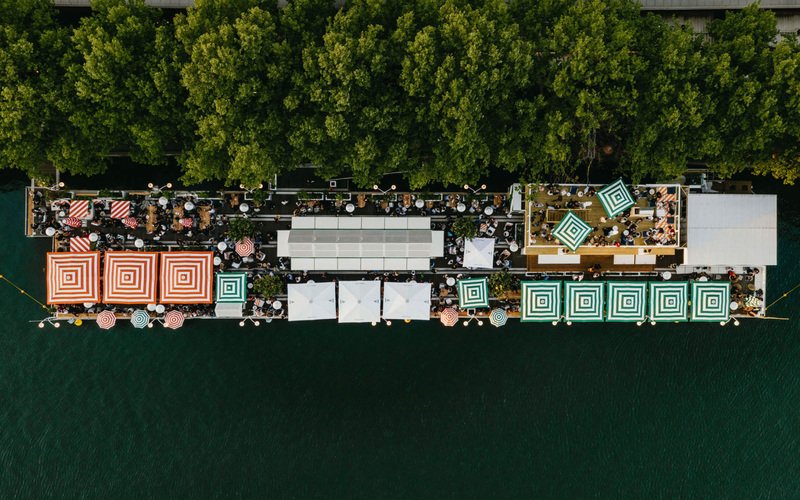 "Striped Umbrellas and sunbeds nail the Amalfi Coast vibe and the menu follows suit, delivering easy-peasy drinking food, including beef carpaccio, fried zucchini flowers and Neapolitan-style Pizza"
- Jetstar Magazine, February 2019. 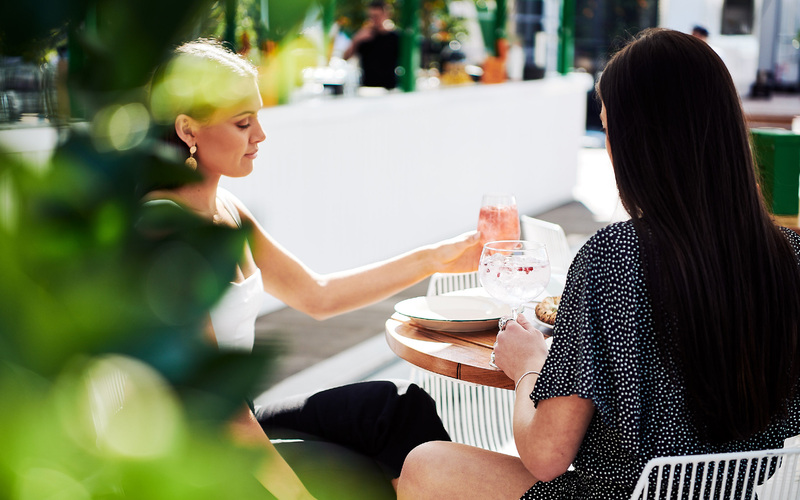 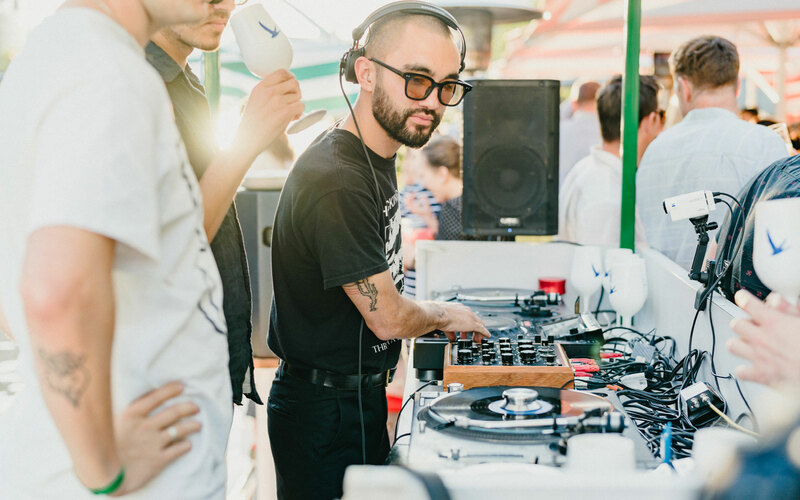 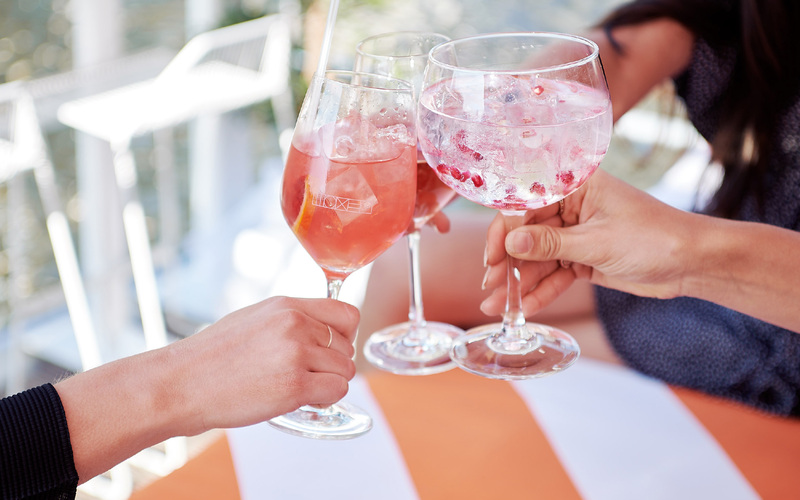 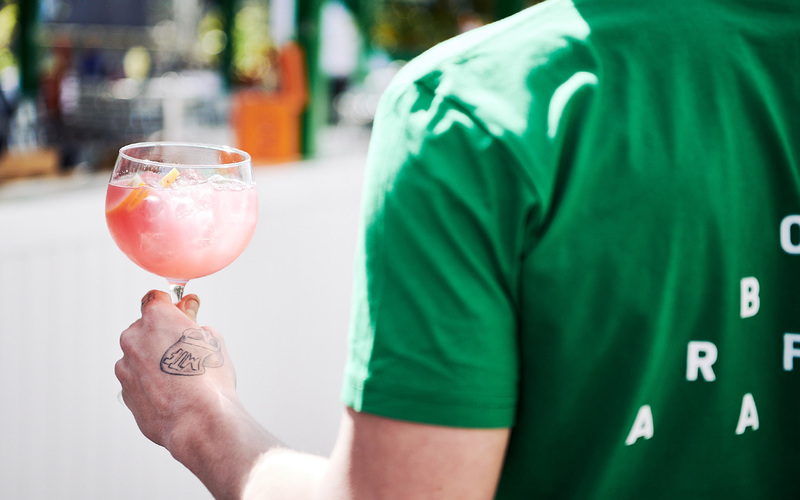 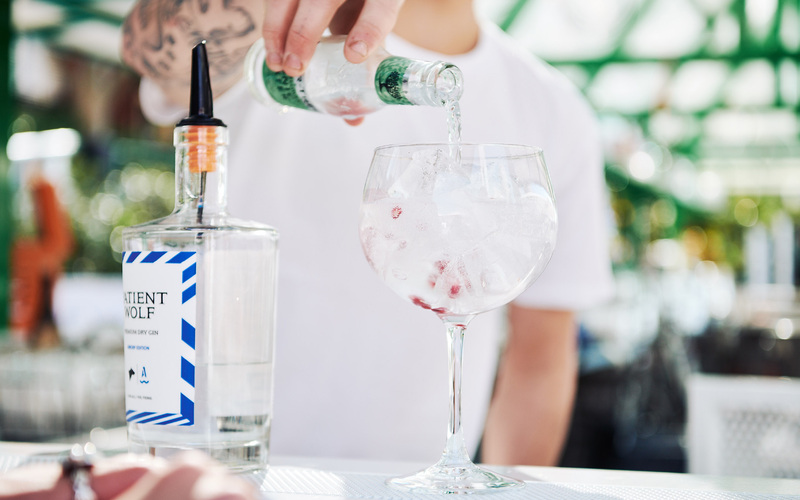 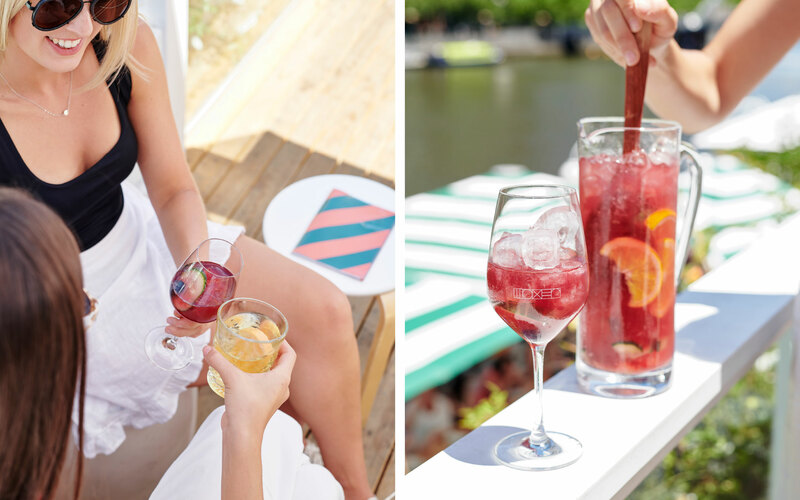 Sun-drenched drinking sessions here feature fruit-driven cocktails from an extensive, Euro-influenced lineup & bespoke gin creations, crafted on a range of small-batch tonics & clever garnishes. 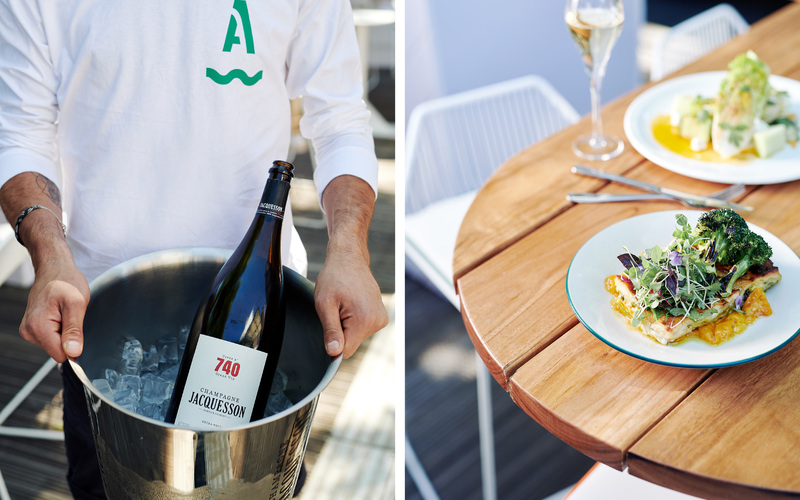 Wine Director Raul Moreno Yagüe has curated an inspired wine list that is strongly influenced by the ocean. 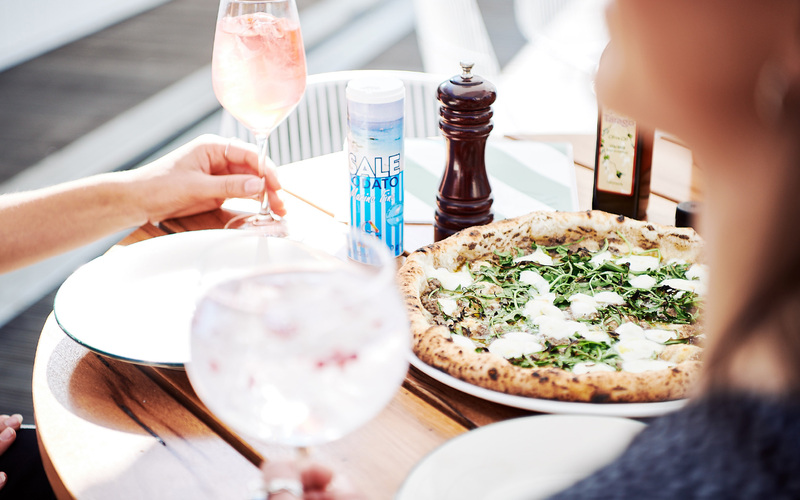 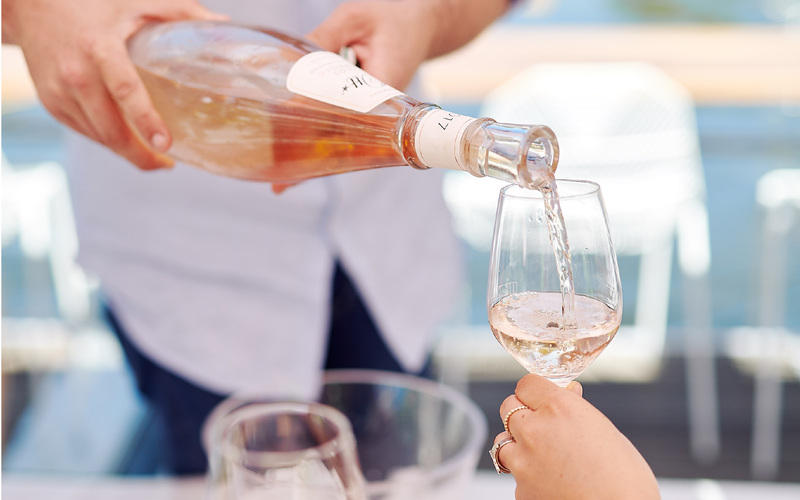 Wines are gentle & have moreish qualities – an ideal match for sharing plates. 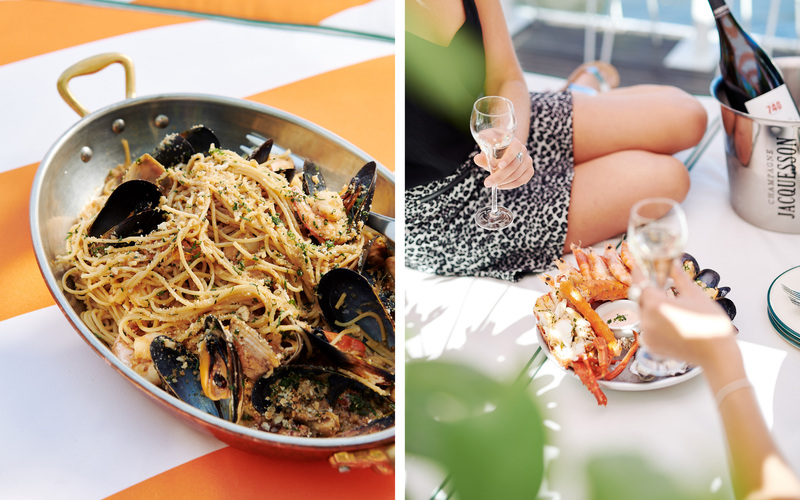 Executive Chef Nick Bennett has created a menu taking influence from Cinque Terre’s rugged coastline & its romantic fishing villages. 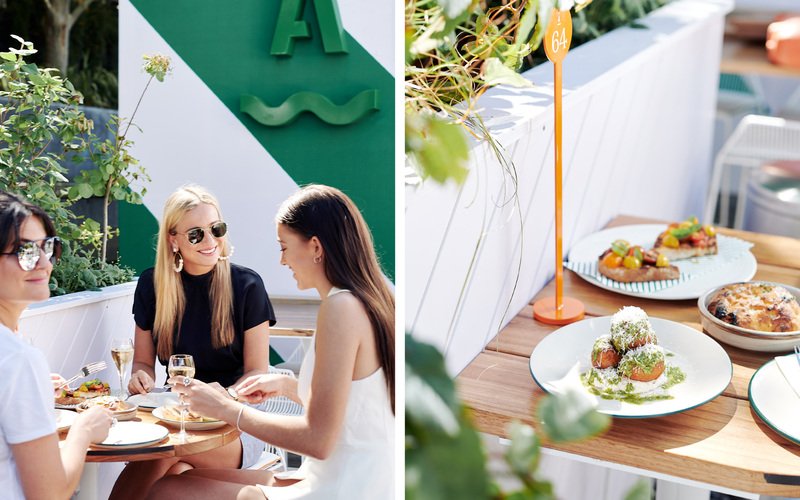 Arbory Afloat is a celebration of Italian hospitality, offering small & large plates designed to be shared by groups. 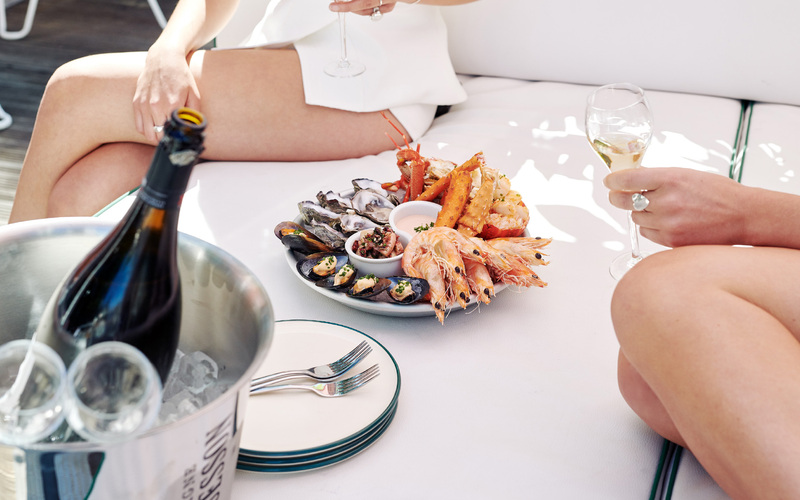 The menu has a strong seafood focus with special attention given to oyster sourcing. 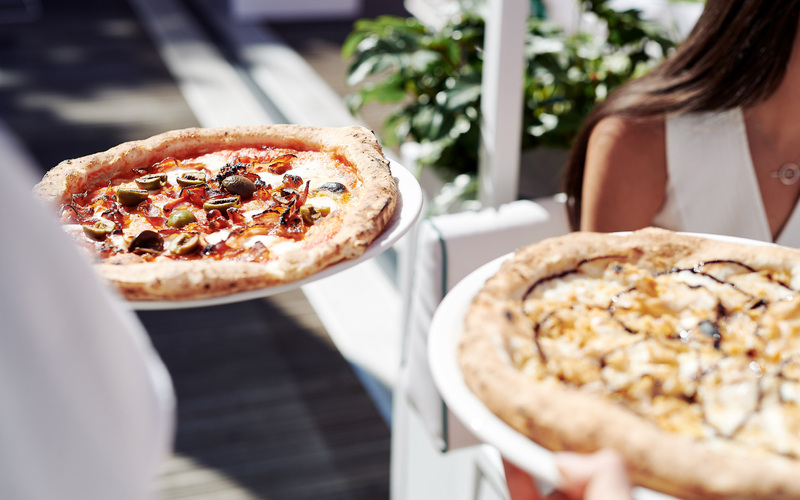 Neapolitan pizza & modern Italian mains with a twist are cooked in an open kitchen boasting an imported wood-fired oven.